Ultrasound continues to be a rapidly growing modality in the world of diagnostic imaging. Numerous reports forecast continued growth in coming years as advances in ultrasound systems make this modality even more vital for health care facilities of all sizes. A recent report with information sourced from Reportlinker states that the global ultrasound device market will grow at a compound annual growth rate (CAGR) of 4.9 percent over the period of 2017-2023. The forecast is based on a study on the ultrasound device market that covers the analysis of the leading geographies such as North America, Europe, Asia-Pacific, and RoW for the period of 2015 to 2023. A MarketsandMarkets report that “analyzes and studies the major market drivers, restraints, opportunities, and challenges in North America, Europe, Asia-Pacific, and the Rest of the world (RoW)” also predicts growth. “This report studies the ultrasound market over the forecast period of 2016 to 2021. 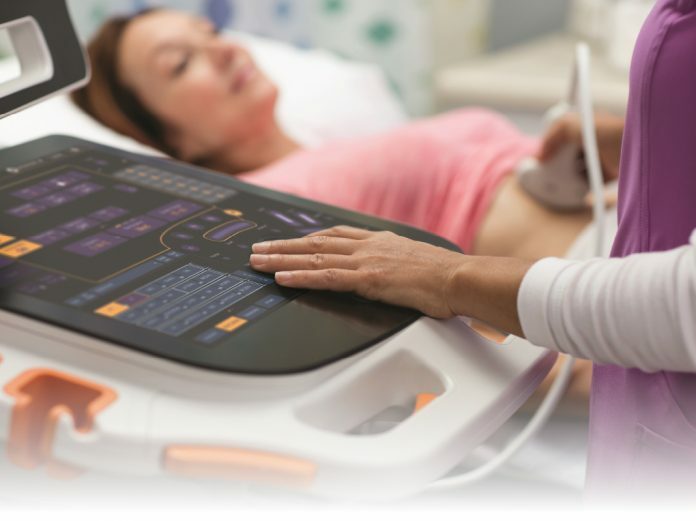 The ultrasound market is expected to reach $6.86 billion by 2021 at a CAGR of 5.2 percent during 2016 to 2021,” according to MarketsandMarkets. Grand View Research provides some insights into why it expects the global ultrasound market to reach new heights. Mordor Intelligence also shares its insights regarding the global ultrasound market. “Government and private funding for R&D in ultrasound imaging, aging population, increasing number of health care providers, curtailment in the size of ultrasound devices, and higher incidences of chronic diseases are some of the factors that are propelling the growth of the market. However, lack of skilled labor to handle the equipment and stringent FDA regulations are turning out to be restraints for this market,” according to Mordor Intelligence. Mordor Intelligence agrees that the future holds continued growth for the ultrasound market. “Many players in this market are trying to expand their product portfolio to top the global market. Few companies have even adopted product innovation and new product launches as their key business strategies, to ensure their dominance in the market,” according to Mordor Intelligence. The major players in this market include GE Healthcare, Philips Healthcare, Siemens Healthineers, Samsung Medison Co. Ltd, Toshiba Medical Systems Corp., Mindray Medical International Ltd., and Hitachi Medical Corp.